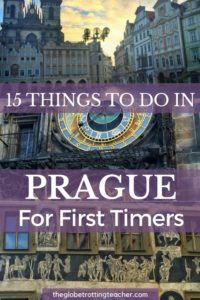 Is it your first time in Prague? Get ready to be swept off your feet and into a lifelong tryst! As a first-timer, focus on capturing the city’s energy and unbelievable beauty. It’s ok to only scrape the surface. Over time, this love-at-first-sight will beckon you back to Prague and strengthen the bond between the two of you. 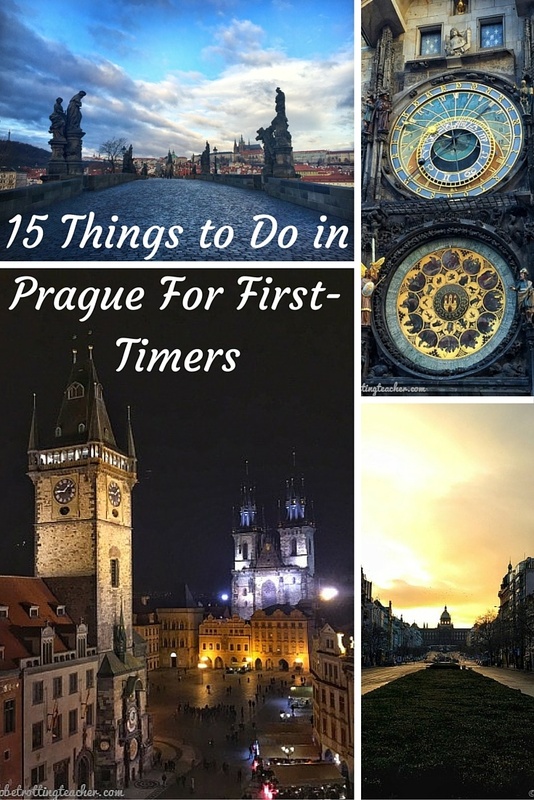 Here are 15 things to do in Prague for first-timers. Walk across the Charles Bridge. Visit just as the sun is coming up to savor the tranquility and snap photos. It was one of the best decisions! Great photos and Prague by itself! 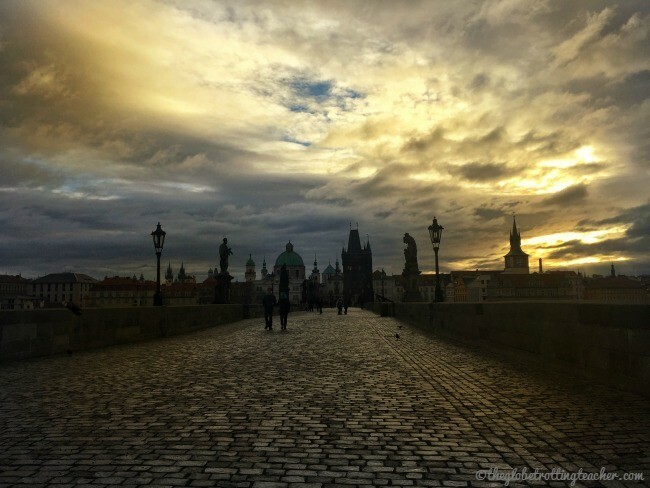 The Charles Bridge is the most iconic place in all of Prague and for good reason, too. Walking under the arched bridge tower entry, you’ll feel as if you’re stepping back to medieval times. The cobblestone path and the Baroque saint statues guide you across the Vltava River in what feels like an absolute fairytale. The best times to capture the essence of the bridge is as the sun is rising or late at night. Otherwise, the bridge fills with tourists and makes it all but impossible to take classic photos of the bridge. Go to Old Town Square. Gather in front of the Astronomical Clock Tower for the hourly show. (The show is underwhelming at best so no worries if you can’t see everything.) Listen to musicians play. Marvel at the architecture. Eat some roasted meat or a trdelnik. Touristy? Yes, surely. But, as a first-timer in Prague, you’ll sense the city’s pulse, its energy. If you can, wake up early to have the square to yourself. You’re sure to love this alone time with the city. After you’ve spent time in Old Town Square and on the Charles Bridge in the early morning hours, make your way up the hill to Prague Castle. Take time to enjoy the sweeping views of the city and the river below. Plan to arrive when the castle opens for no ticket queues and fewer people. Wander through the complex and enjoy seeing sights like the Old Royal Palace with its grand hall and artistically supported ceiling. Don’t miss St. George’s Basilica and its pretty muraled altar and apse. Stroll along Golden Lane and visit the tiny, brightly colored houses still decorated with items from past residents. 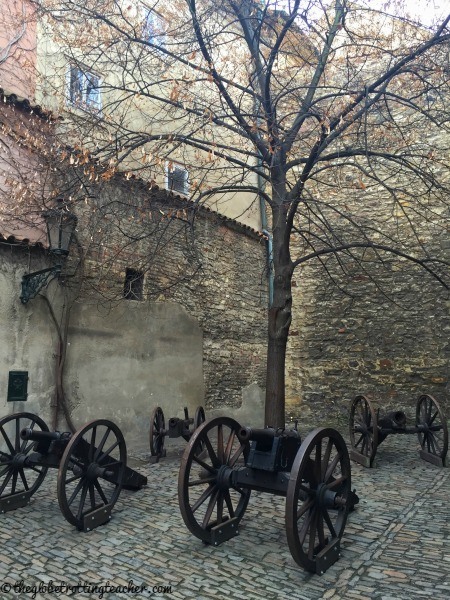 You can also avoid Prague Castle crowds by planning your visit in advance. The Roman Catholic Cathedral is within the walls of the Prague Castle complex. The Gothic Cathedral dates back to the mid-1300s, with earlier religious structures on the site dating back 300 years earlier. Be sure to walk around the entire Cathedral. 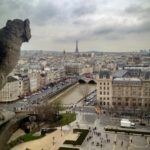 The spires, gargoyles, and flying buttresses are worth your time! Once inside, admire the Cathedral’s stained glass windows. They’re long and colorful, filling the Cathedral with light. The Cathedral also holds the remains of past Kings and Emperors. If you visit on a Sunday, parishioners attend Mass and St. Vitus is closed until Mass is finished. 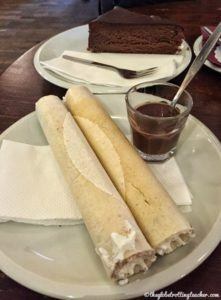 Eat Trdelnik and Horice rolls. Two sweet treats you’ll not want to miss! Trdelnik is a tube-shaped bread roasted over an open flame and coated with a mixture of cinnamon and sugar. The warm bread with its crunchy outside and doughy inside is sold on the street for cheap and is the perfect snack for strolling. Trdelnik..How many can I eat? Horice rolls are tubes of joy, a.k.a. wafer-like tubes filled with fluffy cream and served with a bowl of hot melted chocolate. Simply dip the Horice roll in the chocolate and place gently in the mouth. If you visit Choco Cafe, you’ll want to just go for it and order one of their thick signature hot chocolates, too. 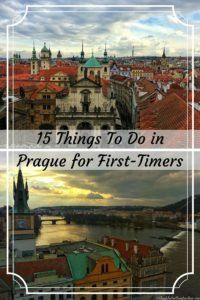 I bet you never expected to see this on a “things to do in Prague” list! But, there’s a chain of Thai Massage Spas that are quite affordable and relaxing, especially after walking all day. After being massaged by ex-prisoners in Thailand, I can verify the massage I got was authentic and worked out all of the kinks. If a Thai massage isn’t your thing, try a foot rub or shoulder rub instead! Why does the beer taste so good in Prague? 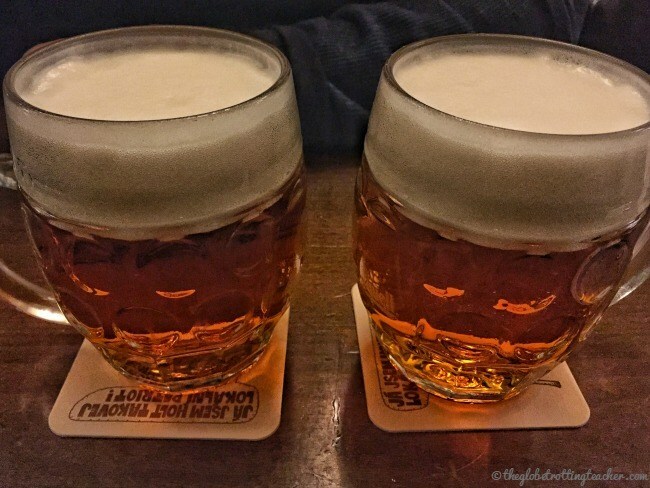 Whether or not you typically enjoy a good beer, be sure to give one a try in Prague. It’s perfectly chilled and is as pure as the water from a mountain lake. There are places like the Prague Beer Museum (not really a museum, but bar) where you can try a beer flight. Be warned, though, because when it’s busy it’s quite a smokey place. Or just opt, instead, for anywhere you’d like to have a bite or settle in for a few drinks. We stumbled upon Lokal, a local beer hall with delicious food and…yes, of course…beer. 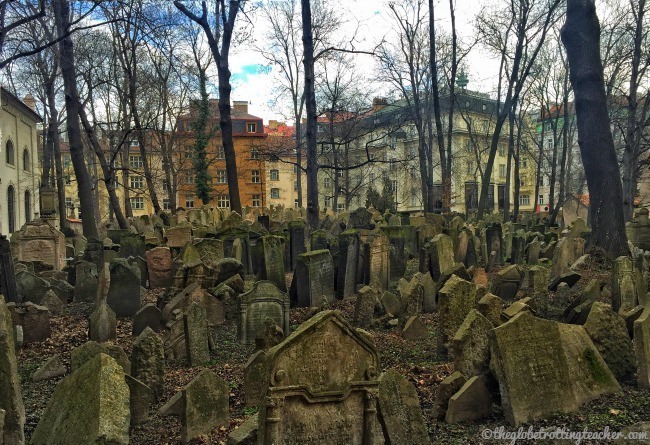 Once the only place Prague’s Jewish residents could be buried, the Old Jewish Cemetery in Prague is believed to be the final resting place of more than 100,000 people despite its roughly 10,000 headstones. When space ran out, more Earth was added to make room for more people. The cemetery now serves as a peaceful, yet poignant, reminder of the catastrophic history Jewish residents throughout Central and Eastern Europe suffered. 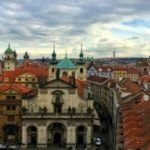 Combined tickets are available to view several sights in Prague’s Jewish Quarter, including the cemetery, the Spanish Synagogue, and the Old-New Synagogue. Stroll the streets to admire the architecture. 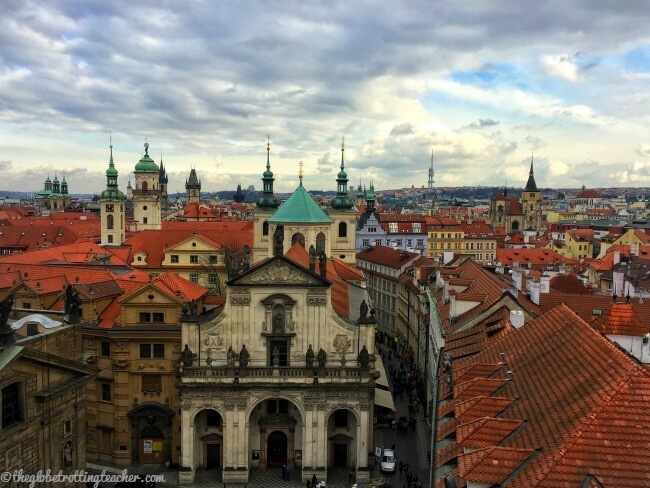 Prague’s Baroque architecture and pretty pastel-colored buildings steal the show. Make time during your visit to stroll through Prague’s streets with your gaze upwards and your camera out. The ornate details on the buildings range from delicate spirals to sensational sculptures of winged angels. 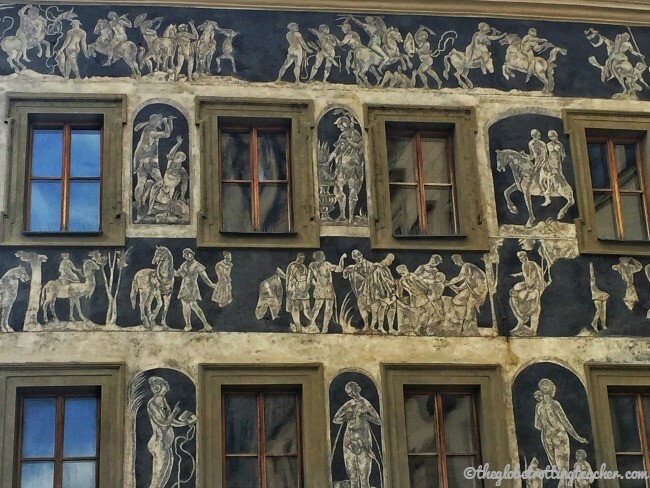 Look for buildings with sgraffito, walls covered with tinted layers of plaster giving the appearance of painted scenes covering the building’s facade. It’s during walks like this where you’ll truly grasp Prague’s fairytale charm. Look up! Or else you’ll miss the gorgeous statues on rooftops! Local guides are also happy to share their city and make sure you see Prague’s prettiest places and learn about its history. 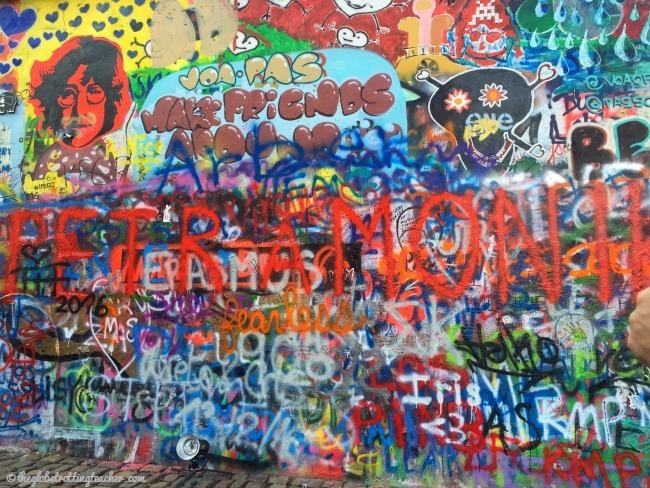 Visit Kampa Island and the John Lennon Wall. As you make your way across the Charles Bridge, head down the staircases on the left or right to Kampa Island. Walk through the cobblestoned streets along the canals. There are vendors and shops selling snacks, sausages, and beer. Or choose to sit along the water at one of the cafes. Find your way to the island’s small park and the nearby John Lennon Wall. The painted wall is a living piece of art with Beatles lyrics and tributes to John Lennon being regularly added and modified. 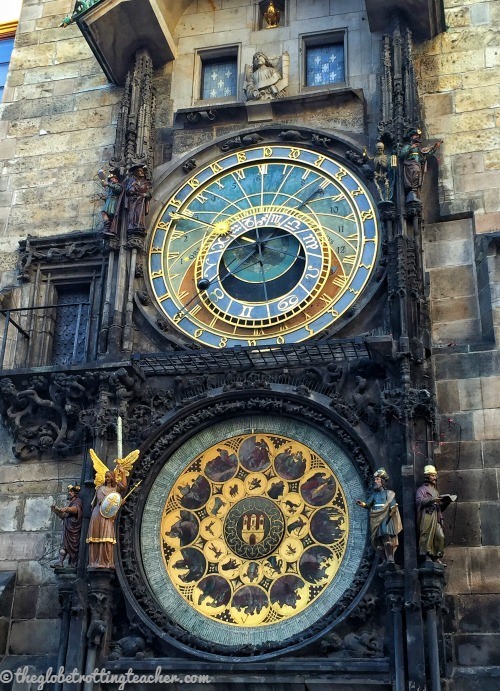 Climb the Astronomical Clock Tower and the Charles Bridge Tower. Aside from waking early, your best vantage points to see Prague and take photos is from up above. Prague’s surrounding hills have parks, Castles, forts, and ramparts to view the city from a bird’s perspective. Climbing the Astronomical Clock Tower and Charles Bridge Tower gives an overhead view of Old Town Square, the Vltava River, and Prague’s many-spired, orange rooftops. While the Clock Tower was busy, we had the views from the Bridge Tower all to ourselves. Shhh…It’s as if no one knows about this vantage point. 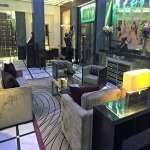 I had an incredible stay at the Radisson Blu Alcron. Research and book more fantastic Prague hotels on TripAdvisor or Booking.com. 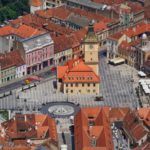 Tip: Stay within comfortable walking distance to Old Town Square for a perfect location! Segways are perfect for Prague’s small, cobblestoned streets. Take a private or group tour to see the city’s sights. If your visit falls on a weekend, it’s best to reserve a tour ahead of time. On off-season weekdays, opportunities to take a segway tour appeared around every corner. Guides fan out looking for interested riders. Hideaway and listen to some Jazz. Live music in Prague is a must. If you prefer a classical concert, you’re sure to find the composer of your choosing. AghaRTA Jazz Club, close to Old Town Square, has musicians playing jazz, blues, funk, and swing music each night of the week in a 14th-century cave-like cellar. Sit back with a very tall glass of beer (or 2) and enjoy the music. Be out in Prague as much as you’re able, even if it means eating dinner on a rooftop in February with heat lamps and blankets. Prague Castle shimmers in the distance and the city takes a notable breath as the darkness settles. Check out Hotel U Prince rated one of the top 15 rooftop views in the world. 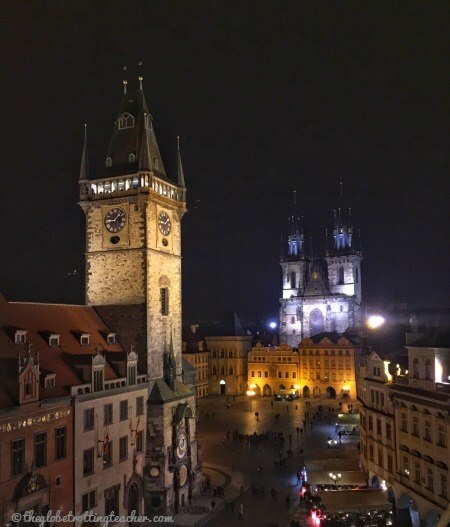 You’ll overlook Old Town Square and have a private viewing of the Astronomical Clock hourly show. 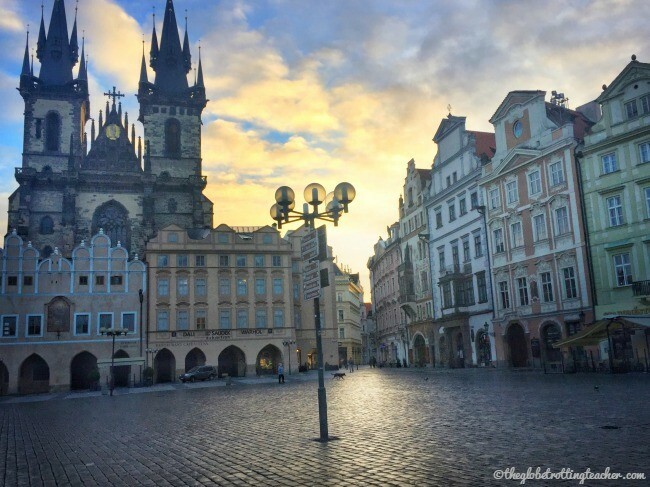 Savor the romance of Prague. I never use this word in a blog post, but it’s a perfect fit here. There is an undeniable magic to Prague. The city will welcome you with friendly and inviting open arms. It’ll steal even your well-prepared heart and keep you longing for more. The architecture, the sights, the river, the Castle on the hill, all of it, blends creating just the right amount of nostalgia and fairytale. 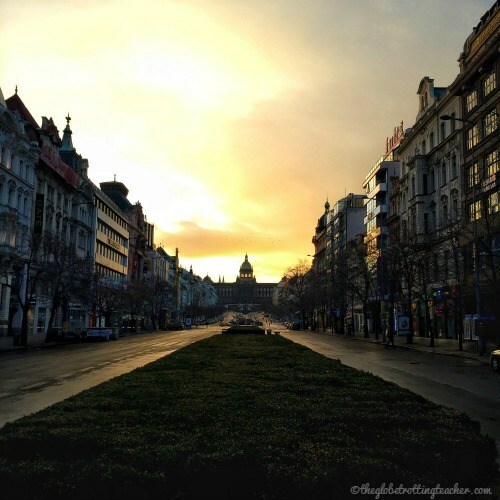 What are your top things to do in Prague? 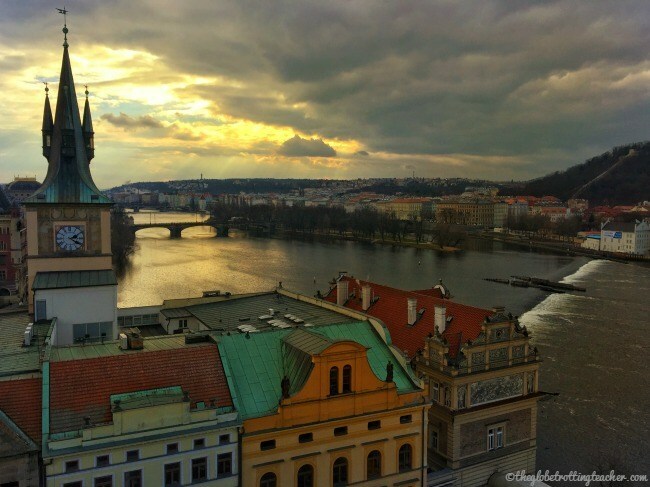 Why do you love Prague? Has another city wowed you? Like this post? Please share on social media using the share buttons below. 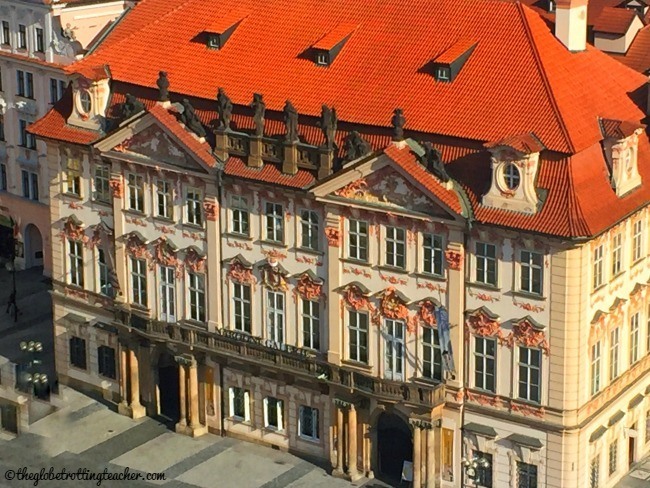 Although I have come fairly close on more than one occasion, Jackie, I have not yet made it to Prague, Your photos confirm what I have always heard about how similar Prague is to Krakow, where I have traveled, especially the Old Town Square and Jewish cemetery. 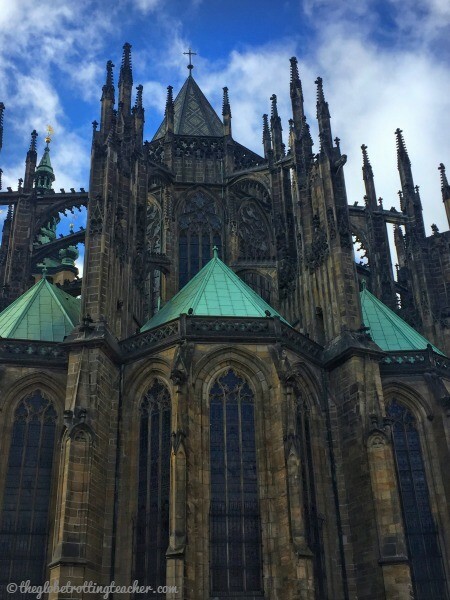 Still, the Prague Castle and St. Vitus Church are calling my name . . . .
Howard, no matter how many photos you see, Prague will not disappoint. It really has the right balance of history and charm. St. Vitus is really impressive, even after seeing many other Cathedrals throughout Europe. Good to know about, Krakow, because it’s one of the next places I’d like to visit in Europe. I haven’t visited Prague yet but I can’t wait to travel to this “magical” town. I’ve heard great things about the baths in Prague and all the good eats. 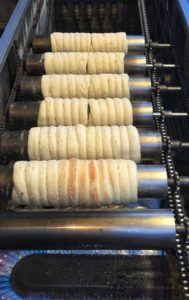 The Trdelnik and the Horice Rolls both look so delicious, can’t wait to try them. Two things I didn’t expect to find on your list were Thai massage and Jazz. This yet to be first timer in Prague wants to wing her way there pronto! Love,love,love Prague! Another really cool thing to do is check out one of the beer spas, also don’t forget to try some becherovka! I’d have liked to taste some Becherovka, Brianna! Drinking too many beers, I guess! 😉 I have to admit, we did go into one of the Beer Museums, which is really a bar where you can do a Czech beer tasting. But, it was sooo smokey inside, we just couldn’t stay. NYC and its smoke-free bars have really spoiled me. I have not done the last few, didn’t have enough time, rest all I enjoyed doing them. Worth a visit, great city! My Bucket list destination! I have a 3 day pre-cruise excursion for spring 2017 planned with Viking River Cruises. I cannot wait to walk across the Charles Bridge and see all the orange rooftops. I keep telling my husband that we MUST visit Prague this year! I’ll have to remember to climb the Astronomical Clock Tower and Charles Bridge Tower for my pictures. My kids will be all over the Horice rolls, so getting one (okay maybe more than one) of these treats will be on our list. Prague is one of the cities we plan to visit in the future. Of course you can’t go there without checking out the Charles Bridge. I don’t know much about the cuisine in the Czech Republic so I would definitely want to eat under the stars and have Trdelnik and Horice rolls for dessert. OMG! Prague always looks so gorgeous. 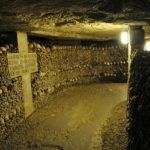 I”m going to be there for the first time in September and this gave me a lot of ideas! Thanks so much, Tess! I hope you have an incredible time in Prague! I was in Prague in May and it was the absolute best part of our whole trip. Spent three days there and managed to do all the things you mentioned minus the Thai massage. We visited the Charles bridge several times all at different times of the day. We did a river boat tour which gave us a relaxing break from all of the walking. Make sure to have good walking shoes! Also did lots of great shopping bought a small garnet ring, lots of garnet! On your way back from the castle go to the beer gardens up on the hill overlooking the town and river. Hi Lenka! 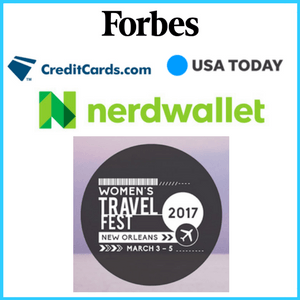 Thanks for your tips and for reading. I loved the beer at a Lokal Pub…and the atmosphere. My visits to Prague have been in the colder months. Is the farmer’s market open year round or only when it’s warm? I think they usually have a break during January and February. In December there are christmas markets which are great too. Actually in Prague is these days a lot of farmer’s market but IMHO Naplavka is the most pleasent one. I am happy you enjoyed the visit of my country. 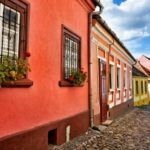 Your pcitures of Prague look better than the reality:) Next time you visit Czech rep, chek out South Moravia – reagion with lot of great wine an amazing nature! Thanks so much, Veronika! 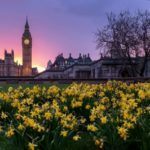 The secret is waking up early and taking photos just at the city is waking up! 😉 South Moravia is on the radar for sure. I’d love to spend time there, too. I loved that city, Beautiful streets. Sounds great, Michael. I’d love to explore more outside of Prague, too. I visited Prague just once, with my wife, during the Christmas season when the city’s especially charming. We joined a short walking tour, explored the Old Town, Christmas markets, street foods and holiday spirit in general. But how could we miss the Thai Massage Spa? And someone also mentioned a Beer Spa in comments. We have to come back for sure, to catch up on everything. We will be visiting Prague in May! I am just going to follow in your footsteps. Sounds like a perfect itinerary! Thanks for reading, Kim. Glad the guide is helpful! Prague is so fantastic…enjoy! !